Actually, "Earthkiller Designs" sounds like a great name for a graphic-arts firm. But in our case, it's the amazing and powerful Ian Hubert who's designing a space station for our upcoming Earthkiller. If you need to go from Final Cut Pro 7 to Final Cut Pro 6, here are some instructions. 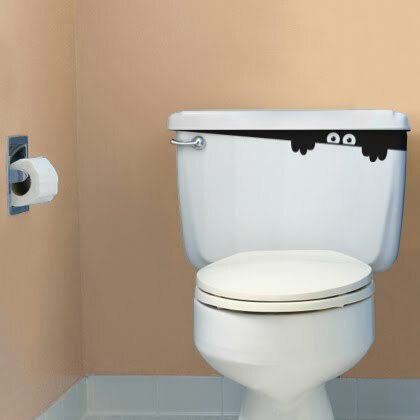 If you don't have your own toilet monster, here's where to order one. Sweetsounds is a little recording studio in New York. I don't really know anything about them but this blog is, after all, just a notebook.